The clean looks and light, modern material used in our double glazed aluminium windows lends a contemporary style to properties of any age. They're high performing and energy efficient, made from strong, polyester powder-coated frames for a long-lasting finish that won’t corrode. We can also configure the windows in any way you choose, to best suit your home. With more than 200 colours – including dual colours – and a selection of decorative glass, fixtures and glazing options available, Anglian double glazed aluminium windows are truly bespoke. Our stylish double glazed aluminium casement windows are powder coated for durability and come with a 10 year guarantee, sealed units are guaranteed for 15 years. They exceed building regulations and come with a B energy-efficiency rating as standard. As well as being secure and energy efficient, they're incredibly effective at noise reduction, and cutting down sounds from outside. With more than 200 colours for you to choose from, we’re sure to have a shade that suits your home perfectly. You can even have different coloured frames and casements with our aluminium window range, as well as different colours inside and out. We make it easy to find the cost and energy savings you’re looking for – one of our Anglian designers will visit you at home to give you expert advice based on your particular needs. They’ll also guide you through deciding the best configuration for each room and selecting other features like decorative bars and glass designs that will make your windows unique. Once you’ve decided what you want, our designer can give you an accurate quote. Your aluminium windows will always be made to your exact specifications, ensuring that they perfectly fit your home. Each window material offers a wide choice of colours for the outside of the frames. With our uPVC windows, you also have a dual colour option combining Woodgrain or Anthracite Grey on the outside with White Knight on the inside. Your designer will help you select the type of glass that’s most suited to each room in your home to give you the best levels of energy-savings, security, noise reduction and privacy. You can also give your windows the look you want by choosing from our plain, decorative or obscured glass and insert options. We make every glass panel uniquely for your windows and offer you an exciting choice of clear, obscure and leaded glass, as well as decorative designs and bars. Your Anglian designer can help you choose the right glass for each window during your appointment. 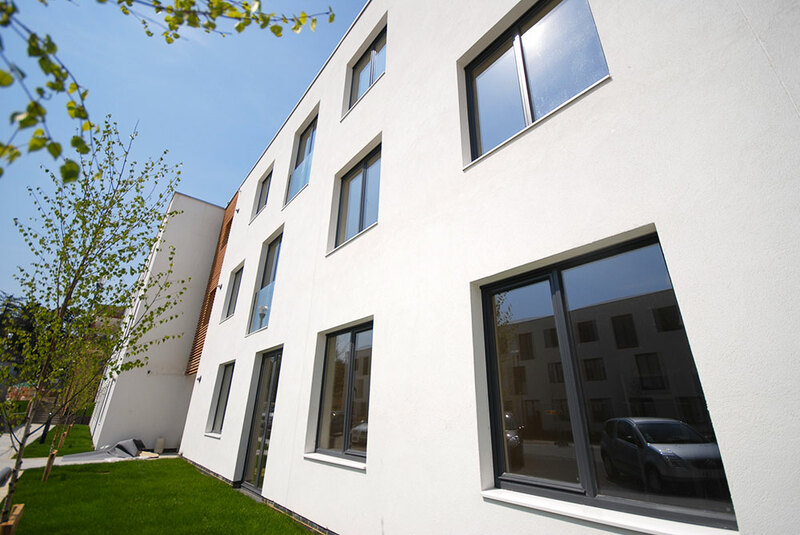 Aluminium alloy has been used to create quality windows for more than 20 years, and our double-glazed aluminium casement windows are energy-efficient, secure and durable. Because each window is tailor-made by our own craftspeople, you can pick every feature individually, including the size of the openings, the handles and plain, decorative or obscured glass. With more than 200 paint colours, including the option for different colours on the interior and exterior, you’ve scope to let your imagination run free.